The New Sensation for 68? Today, we have a record from near the very end of Sandy Stanton's Film City empire. Label numbers for Film City's known releases﻿ barely extend another 100 numbers beyond this one's #4032 A/B. And what an A-side! Over a bouncy Chamberlin track (very likely a Rodd Keith production, based on its quality), Patty Stanton sings a ridiculous little song called "Beer Can Drag", the wonders of which I'll let you discover on your own, aside from calling your attention to the way Patty manages to pull three syllables out of the word "suppress" (which is such a musical, lyric-worthy word to begin with). 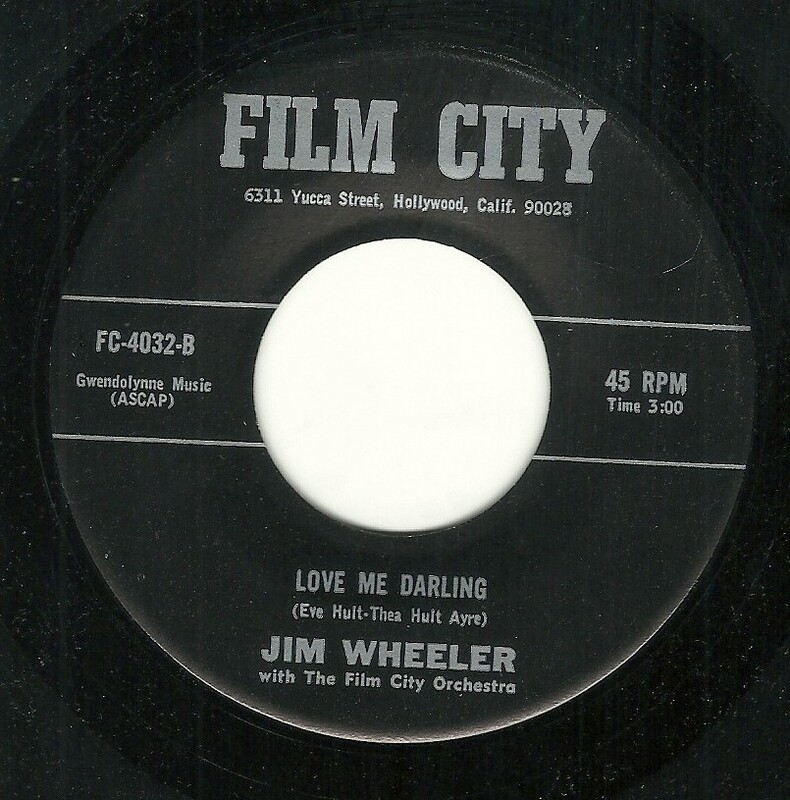 One listen to "Love Me Darling", however, strongly indicates that such a thought was somewhere between wishful thinking and delusion, as "Love Me Darling", sung by Jim Wheeler, is a terrible song, with a melody that would be a challenge for anyone to remember or follow, let alone sing along with. The tune meanders here and there, and there's a stultifying instrumental break, and in a more general sense, the backing and the vocal are turgid. 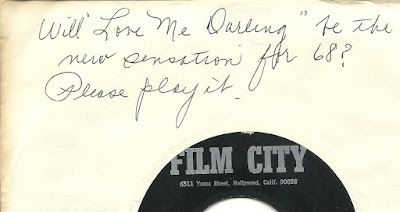 My first thought was that the writers of "Love Me Darling" should have heard the flip side and said "well, that's a much better song and performance - why didn't they work that hard on our song?" 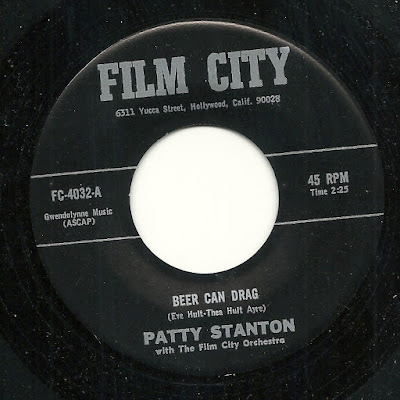 However, a peek at the label shows that the team that wrote "Love Me Darling", also wrote "Beer Can Drag". Not that either of these songs would have been a "new sensation" in 1968 or any other year, but still...the logical assumption is that they thought "Love Me Darling" was the better, and more commercial of the pairing. Uh, no. If you've paid attention at all to the song-poems of the late '60's and early '70's, you'll know that one of the common themes that crops up over and over again is Astronauts. 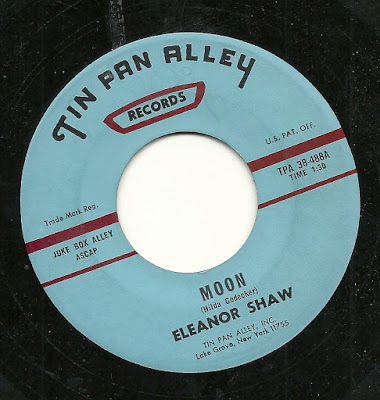 Today, I have for you perhaps the weirdest, most ridiculous of these entries, a song simply titled "Moon", and sung by the aggressively terrible singer Eleanor Shaw. I know that many song-poem records were done, literally, as sight-reading jobs, but to do so, the labels really needed to get people who were competent (or better) at sight reading. And if Eleanor wasn't sight reading, she's even worse than I thought, given her performance about 25 seconds into this 92 second treat. And what, exactly, is the song about? Clearly, there's a reference to Neil Armstrong, and some other moon-related thoughts, but I'm not really picking up on a story here, or even a coherent line of thought. 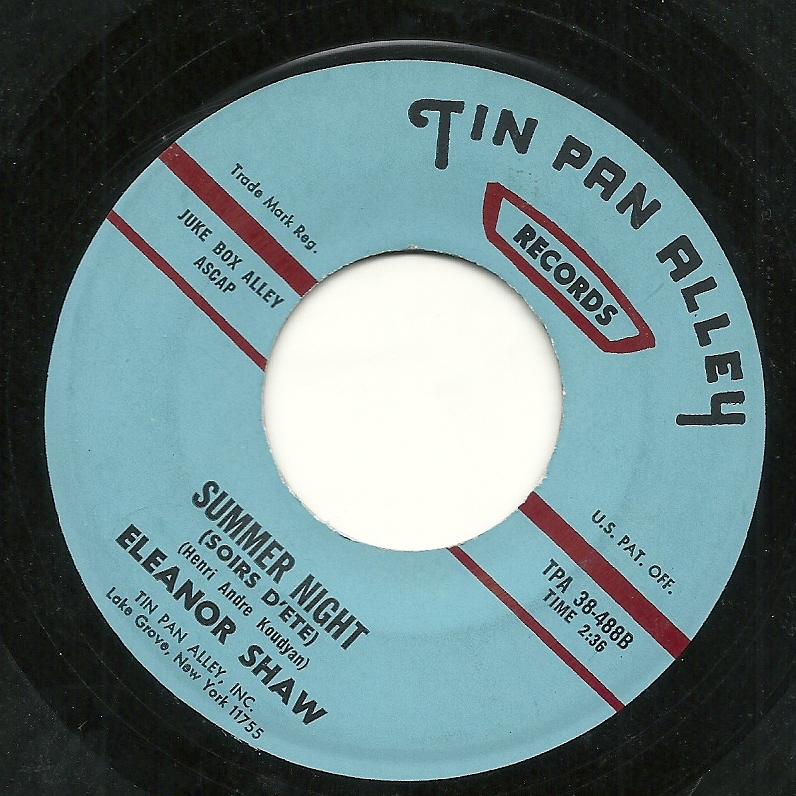 Perhaps Ms. Shaw's vocals are just that distracting, that I can't concentrate closely enough on what she's saying. Regardless, I think this one is an all time winner in the so-bad-it's-great school of song-poems, an area in which Tin Pan Alley, during this era, really went above and beyond. The flip side, "Summer Night (Soirs D'ete), does not enchant me much at all. Indeed, it seems to go on forever and ever, although it's actually barely a minute longer than its astonishing flip side. The supper-club style backing band is shown up throughout by their lead guitar player, who seems to have 85% of all the talent involved in both sides of the record. And yet even the band is considerably better than their singer. 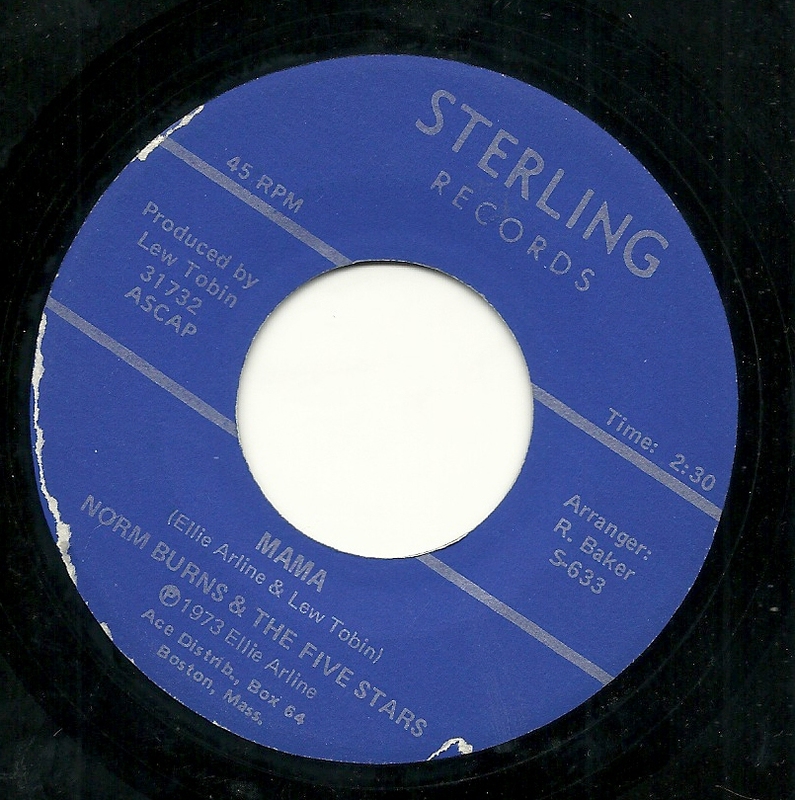 I don't know what it was about the Sterling label - maybe it was something about the magazines they advertised in, as it seems to have been for Halmark, whose lyricists had the same tendencies - but they got more than their share of high-falutin', cosmically complex and faux-deep-though-laden lyrics at their doorstep. "The Human Breakdown of Absurdity" is the best example, but there are plenty of others. 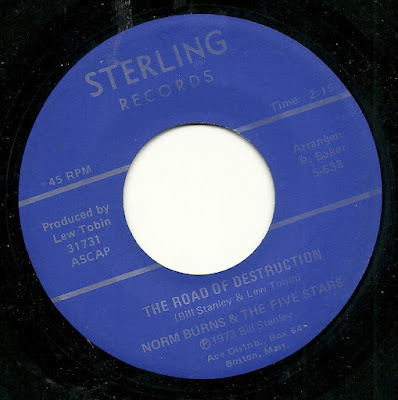 Today's example is "The Road of Destruction", performed for us by Norm Burns in his usual, outstanding manner, accompanied sympathetically by the Five Stars. This certainly isn't on the same level as "Absurdity", but in this case, some standard-issue verses about bad things that happen are tied together with a chorus which seems to want to be in another, quite different song, one which seems to suggest there's a moral to his story (ethical and/or religious). However, that moral turns out to be nothing more than "don't drive fast", which, among other things, doesn't really track with the instruction not to "die on sea". On the flip side, we have the opposite - bland, standard issue lyrics, almost at a greeting card level, all about "Mama", and sung and played with a degree of sincerity that veers on self-parody. First, I'd like to ask if anyone is having trouble getting the files. I am having no end of problems with Opendrive, but only at my home computer, which I suspect makes it a computer issue (although it is literally the only website with which I'm having problems, and on multiple browsers, which is weird). I just want a bit of feedback as to whether there are any issues at your respective ends. Thanks in advance! Today, something a bit different. 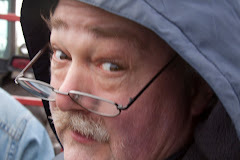 This is a guest post from frequent commenter, and great friend of the blog (and online friend of mine) Timmy. Rather than offer up my comments, I'll just let him speak for himself. I never really gave it much thought, but I have two songs that I wrote the lyrics only for, which are in all factuality SONG POEMS. Now, I didn't send these gems into a "song-poem" factory, like the folks did who you document, I went in a somewhat different direction. West Los Angeles, California; Early or mid 1970's - - - I wrote these two songs, lyrics only. With no intent to do anything further with them, stashed them in a folder & a few years later decided that I wanted to get them put to music. I called up an old ex-classmate of mine form school, Severo, because he was now becoming a somewhat well-known local musician on the scene in Hollywood and asked him if he would be willing to help put music to these songs of mine. He agreed. He would play the music but wasn't sure he would be the best choice for composing the music. Also, he said he couldn't sing good enough, as nor could I. So then, I posted a notice on a bulletin board at a "Orange Julius" stand in West Hollywood, where people would do such things, back then, to meet people for a variety of reasons. It was easy as pie. A few days later I was contacted by a guy named Hiroshi Kigori, who was willing to work cheap & compose for us. Then, I got another answer from a dude who said he would sing (cannot remember his name). Right about this time I had purchased a brand new Dokorder R_R tape deck, on which we taped what happened next. We all got together one Saturday, in my little bachelor apt. in Culver City & got the job done. I was the recording engineer. Everybody gave it a few rehearsals. Hiroshi played keyboards. Severo overdubbed bass lines on top of his lead guitar. (Severo is none other than Severo Jornacion, the famed "Thrilla From Manilla" who later went on to join the great band The Smithereens in the late 90's, becoming their second bass player & still with them to this day).